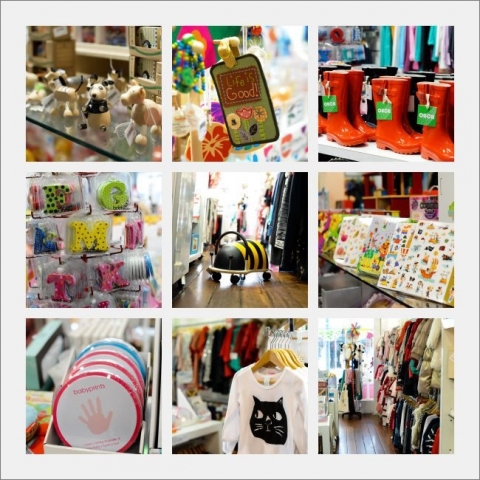 If you haven’t been in to Mini Marche yet, make sure you head on down when you are next in Fremantle. Located at 47 Market Street it will quickly become your one stop shop for all things baby and child related. But Mini Marche is not just your average kids clothing and toy store. It is absolutely brimming with quality designer clothes, boots, umbrellas, jackets…all adorable items sourced from around the country, individual, stylish and practical. As for the toys, imagine all of your favourite items in one place! Beautiful handcrafted wooden toys sit alongside colourful dolls houses, books, jewellery and my personal fave…the wheelie bug. Eli had so many hours of fun hooning up and down the hallways on his wheelie bug ‘buzzy bee’….it was easily our most well loved, and long lasting toy. Mini Marche can be contacted on 9433 3215.